Well, holiday of Eid is upon us. Now, if you’re one the people who want to take your holiday in your city, especially the city of Jakarta, then maybe you can check its attractions to be explored with friends or family like in the best islands in thousand islands Jakarta. 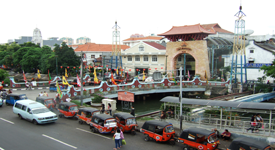 Even though many people think that Jakarta is only a place to do business because it’s the capital city of Indonesia that has more advanced economy than the other areas, but Jakarta cit still has some of its best attractions like things to do in China Town Jakarta and also the area of Kemayoran. Many people would refe this place as an area to hang out, especially in the Saturday night. In fact, there are some attractions that located around it that can be checked out in the things to do in Kemayoran below. 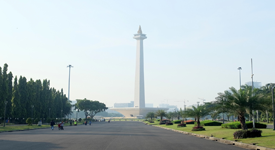 Thing to see first during your visit in Kemayoran is the famous Monument National or called as Monas ( Monumen Nasional). This place is used by many people in order to do their own activities like resting, or even selling their products. During some free days, Monas is also used for exercise place where many people who also exercising can join in and be healthy together. To enter the area, you need to pay the administration fee for about Rp20.000,-. 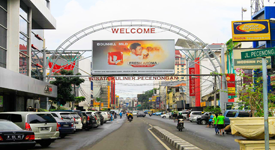 Next one beside the things to do in pantai Indah Kapuk Jakarta, one attraction that can be found in the area of Kemayoran Jakarta is this Pasar Baru. Pasar Baru was actually the trading center in Batavia town (old name for Jakarta) during the colonial era in 1820. Since then, this place known for having a lot of good stuff for the customers. So, you can see now that this Pasar Baru is always having so many visitors, because in here, they cant the thing that they always wanted with considerably cheap price. Tips : Better to come here during eveningor night. Learning some history is also important to study the background of a country. 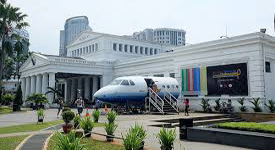 The perfect place to do that, which is also located near the area of Kemayoran is this National Museum. Unlike the other attractions, this place only costs the foreign tourists double price of domestic ticket, which is Rp5.000,-. Upon entering, you can notice that there’s an elephant statue, made of bronze that given by the King of Thailand years ago. This museum has so many interesting collections like leather puppets, the ancient accesorries, traditional musics, etc. During this month of Ramadhan, visiting one of the best mosques in Indonesia would be a great experience for a muslim tourist. 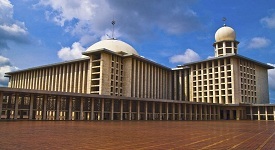 The mosque is the Istiqlal Mosque, which is already known by many people in Indonesia. It’s called as the largest mosque in South East Asia, with the capicity of more than 200.000 people, completed with a 90 meters high tower. The President of Indonesia, will use this mosque to do prayers like in Friday, and also Eid. Tips : You can come here for break fasting during Ramadhan. 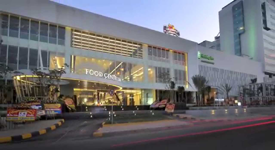 Next location that is also exists in the area of Kemayoran is the Food Centrum, with the name of Food Centrum Sunter. Aside from the things to do near Hotel Mulia Jakarta, Food Centrum us always crowded by the people, especially during Saturday night. The name of Food Centrum known for having the varieties of the food shops inside. That’s why people love it, because they can find so many stuff just with visiting one place. Perfect place for hangout with friends or lover. For the people who want to seek the experience of diving, but still don’t have time for training for diving, they can come to this place which is located near the area of Kemayoran. 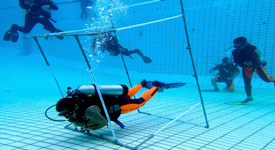 This place is serving you with the whole some wonderful experience of dive training. Beside the training, they will also serve you with the equipmente training if you don’t have any of them, and in the end of the training, you can finally go with them to the best dive sites around Indonesia’s archipelago. Tips : Better if you have some friends with you, it’s more exciting. And for the last place we’re gonna talk about in the area of Kemayoran is Pecenongan. Pecenongan is known for having the tent stalls, which is more urban version of restaurant. It’s great as the things to do in Menteng Jakarta, filled with so many food stalls that can spoil us. Starting from day until night, the place will always crowded with the people who came from local area or outside Jakarta. The price of food in here is always affordable and the portion is large enough for one. The most famous foods in here are the sea foods, and traditional snack called Martabak. So that’s the article of things to do in Kemayoran for today. As you can above, there are many locations that can be used as a choice when visiting Kemayoran area. So, even though the main things that people always visit are the mall, there are the other atractions worth mentioning. You can’t find kinds of natural attraction in here, because as you can see there, Kemayoran is an area for business and also trading. But for the people who want some relaxation, they can also go to the green area like Ismail Marzuki Park.